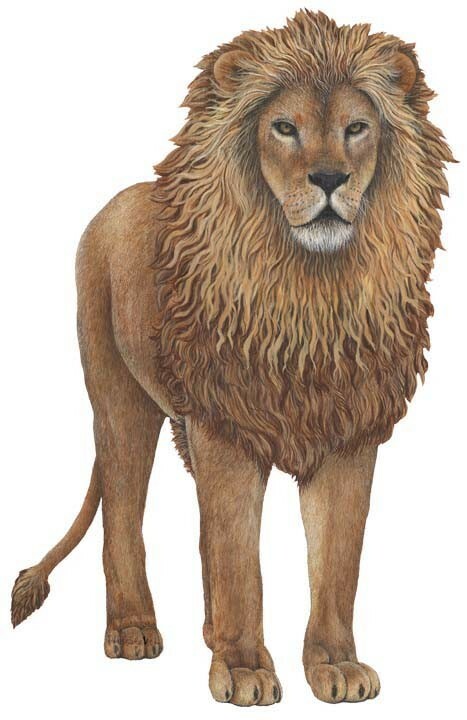 Great ways to theme childrens bedrooms, School classroom or waiting area. With a difference - SIZE !! 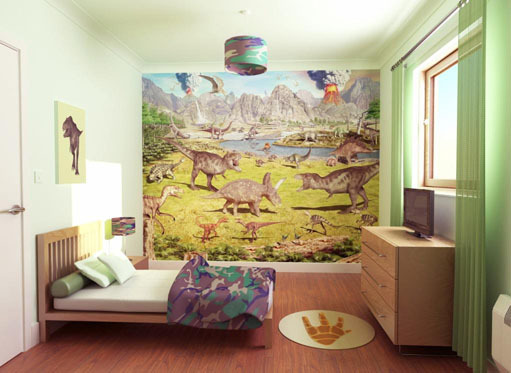 These wall applications are great for a quick room makeover or part of a full dinosaur themed room, School classroom or even a waiting area such as a Doctors surgery or a Hospital ward / corridor. What colud be easier than Peel and Stick ? With loads pictures childrens favourite dinosaurs to choose from, together with a selection of Jungle trees & plants to complete the theme. 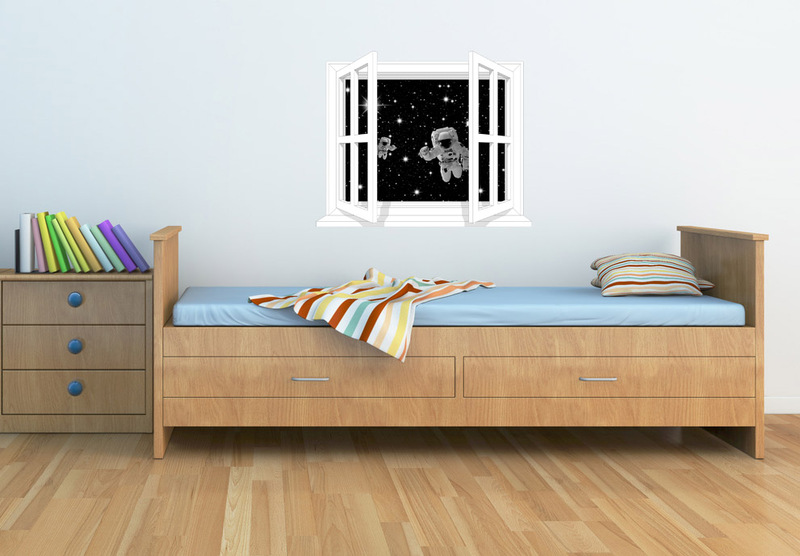 This is a new concept in childrens wallpaper design. It creates a stunning scene that amazes children of all ages, boys & girls alike. 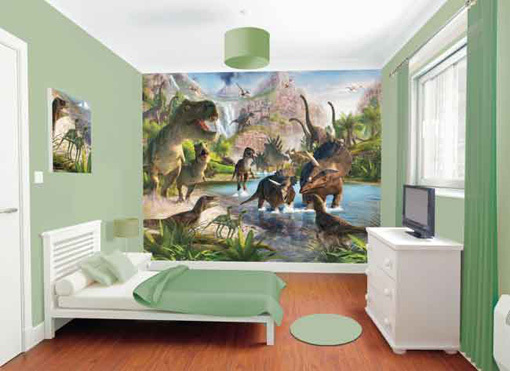 This Jurassic wallpaper includes various pictures of dinosaurs including the fearsome T-Rex. These childens wallpaper mural's fit all walls up to 10ft x 8ft if your wall is smaller just simply trim to suit, if its bigger why not add a frame that will give the effect of looking out of an opening. The murals are printed on to wallpaper and therefore easy to do yourself. No need to artistic skils. Each mural is made up from 12 pieces for easy handling and will only take around 1 1/2 Hours from start to finish. You'll be amazed with the result ! as were people on ITV's 60 minute makeover show. Dozy Dinosaurs Stickers - New ! These stickers can be used on walls and furniture. 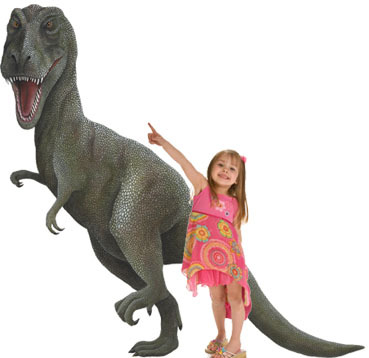 You'll receive a box containing four sheets of glossy dinosaur stickers, each sheet measuring 120cm x 60cm. This gives you plenty of stickers to complete your mural. if the kids love Ice Age these products are for them. 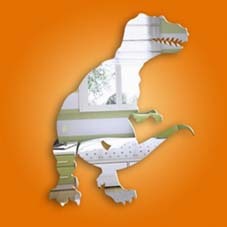 Dinosaur shaped wall mirrors are a perfect way to fiish off a boys or girls room. If you want a real Jurassic Park themed room then this mirror looks stunning with our three other dinosaur designs. Ideal for bedrooms and playrooms. Available in a range of sizes and themes. Just add a few pictures of dinosaurs perhaps some dinosaur stickers or a dinosaur mural. These mirrors are made from acrylic and are therefore very strong and will not shatter, making them idea for kids rooms. We can create shapes that cannot be acheived with conventional glass mirrors and the reflection is just as good infact you cannot tell the difference. 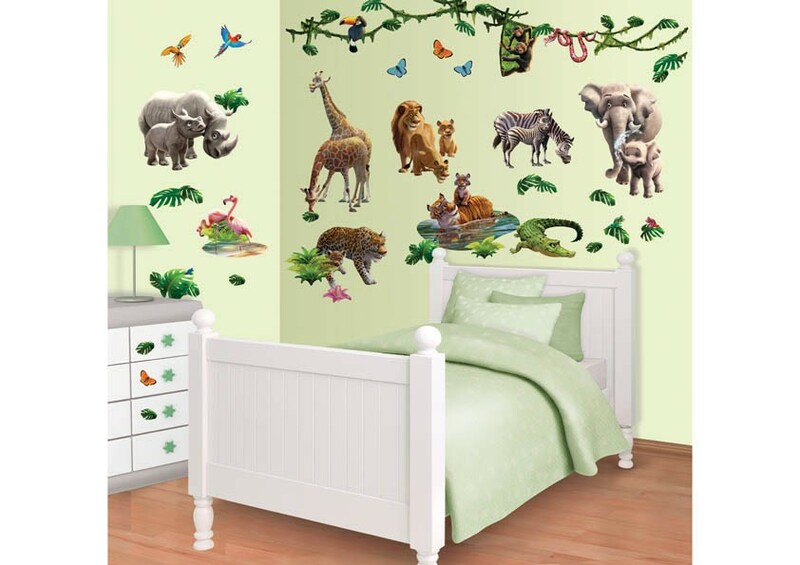 With these jungle trees & jungle plant stickers you can complete a Dinosaur themed mural, the scale of these stickers match the scale of the dinosaur decals and really do finish the room off. Ideal for creating a stuning prehistoric dinosaur scene. Visit our Giant Sticker Shop to see what we have on offer. 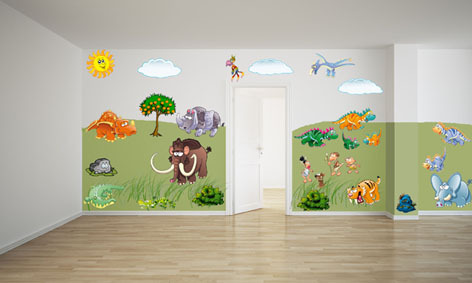 A supurb selection of Giant decals used in Childrens rooms, Nurseries, School classrooms, Hospitals & Doctors waiting areas. 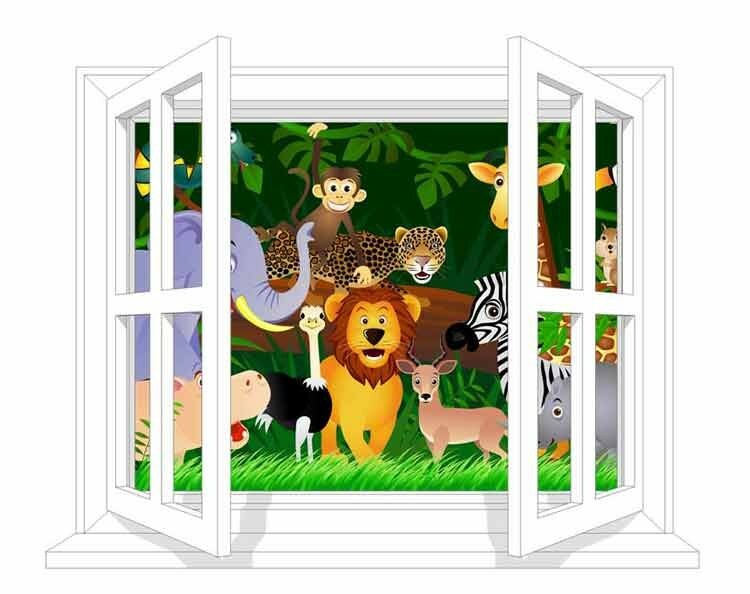 Each of our GIANT themed wall decoration stickers can be used individually, or combined to create a stunning wall mural, for a childrens nursery, an infants bedroom or even a kids wall mural inside a playhouse, Your kids will love these unique stickers, they will transform your childrens bedroom, or nursery in minutes! See how big they are !! 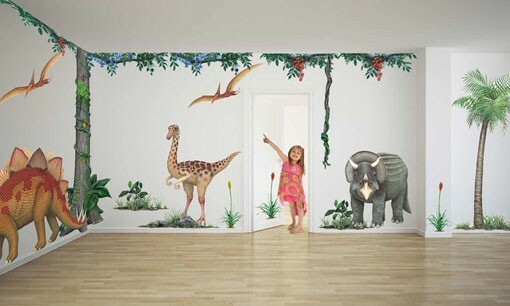 Fun Decor.com supply these Dinosaur themed wall stickers, wallpaper murals and mirrors etc not just to the UK but all over the world including Australia. We have also supplied our products to the ITV for their 60 Minute makeover programme, and to the BBC for DIY SOS.